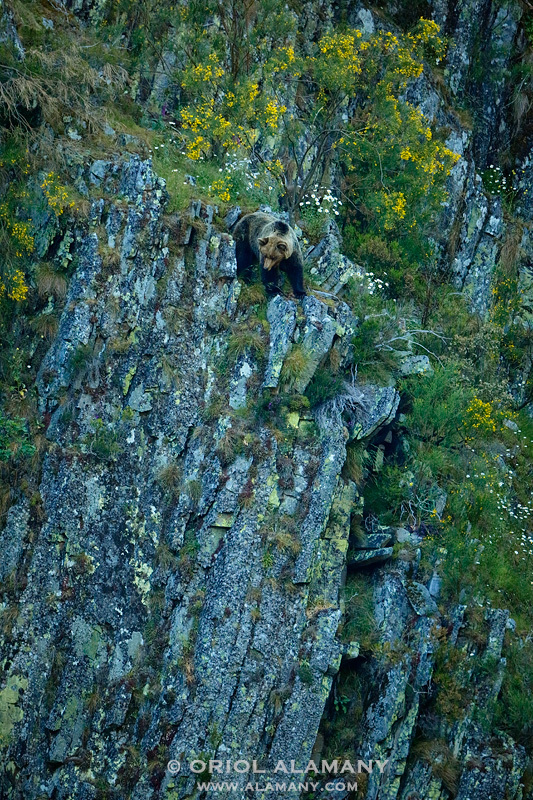 Just before the night falling down a female Brown bear climbs a cliff among flowers in the Cantabrian mountains. Wonderful image ! Beautiful animal, great mood and colours. Ooooh... What a moment! What a memories in you brain - and your card - of a moment like this Oriol! Magical!